If you would like to register, please contact Kyra Gibson at kyrag@naifaidaho.org. 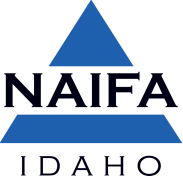 NAIFA Idaho developed this annual tournament in 2012 in memory of Twayne O. Buhler of Filer. Twayne was in the life insurance and financial planning business for his entire career. He was a master of his trade and made countless connections throughout his long career; many of whom considered him family. Throughout his career, he served as Treasurer of NAIFA Southern Idaho, was a member of Million Dollar Round Table, and sold for Midland National. Twayne Buhler had a love for chocolate milk and would often go to great lengths to have some each night before bed. Whether it be at the NAIFA Idaho State Convention in Sun Valley or NAIFA National Conference in Orlando, Twayne always made sure to find some. Twayne passed away leaving a huge hole in all our hearts, and this is our unique way of keeping his spirit alive! For more information, including sponsorship, please contact: ​Kyra Gibson, Executive Director at 208-888-0988 or KyraG@naifaidaho.org.